There are multiple artists with this name: 1) "Paul Salva is a funky motherf*cker," says The Fader. Beyond those who already know this, the rest of the electronic music world is catching wind of the 29 year old producer, DJ, promoter and label boss. Already heralded by the Numbers, Ernest Endeavors and LuckyMe crews in the UK, the Low End Theory residents in LA and his own Frite Nite label/crew in SF, Salva is primed as he preps the release of his debut album, Complex Housing for the Friends of Friends (FoF Music) label. 1) "Paul Salva is a funky motherf*cker," says The Fader. Beyond those who already know this, the rest of the electronic music world is catching wind of the 29 year old producer, DJ, promoter and label boss. Already heralded by the Numbers, Ernest Endeavors and LuckyMe crews in the UK, the Low End Theory residents in LA and his own Frite Nite label/crew in SF, Salva is primed as he preps the release of his debut album, Complex Housing for the Friends of Friends (FoF Music) label. Growing up in Chicago in the 80's, Salva cites early inspiration in all sorts of of electronic and sampled-based music ranging from electro, juke, analog house, ghetto house, underground hip hop and bass productions. With a strong foot in all of these idioms, Salva creates a future-leaning style of electronic dance music that is all his own. Shimmering synthesizers collide with funky vintage drum programming, heavy bass drops and rapid arpeggios to create an album that remain both listenable and danceable. 2) The long lasting friendship of lead guitarist Stefan and vocalist/multi-instrumentalist Per goes way back to the early 80's when they were about seven or eight years old. Their meeting, however, had nothing to do with music. They were both on the same handball team and have been friends ever since. Growing up they found they shared a burning passion for music and formed their first band, ?Snigeln v?lter?, in their teens. The emphasis of the music in these days was put on hard rock and heavy metal. In ?gymnasiet? (the Swedish equivalent to high school) Per met keyboard player Johan through mutual friends. They gelled instantly and Per persuaded Johan to join the band as well. In their late teens they felt it was time to make some money off of the music so they started playing cover-songs on the live circuit of south western Sweden (pubs, clubs, parties etc.) with great success. To this day they are still performing in this manner (under the ?St?mband?-moniker) and have been doing so since 1992. 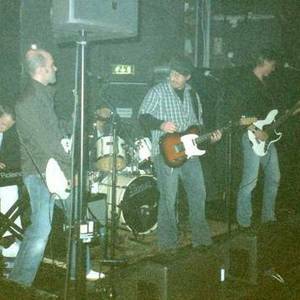 The Salva-project had been the brain-child of Per for many years but it didn't become a reality until 2003 when he, Johan and Stefan decided to form the band. As a three-piece with Per handling the bass-playing, drum programming and percussion in addition to his regular instrument arsenal they started recording what was to become their debut album. ?A handful of earth? was released on Perand KB Records in the autumn of 2004 and instantly started getting very favorable reviews throughout the prog rock community. Distribution deals were soon struck with Caerllysi Music in the UK, Progress Records in Sweden and Big Balloon Music in the US and sales took off from there. In 2005 the three decided it was time to start working on their second album. The initial plan from the start was for Salva to be a ?full band? which resulted in the quest for a permanent drummer and a permanent bass player. They didn't have to look far. Johan's younger brother, Fredrik is a gifted bassplayer who had been playing with Johan, Stefan and Per in other constellations and drummer Lasse is an old school friend whos musical path has crossed the others several times as well. They both agreed to join the band and work began on what was to become ?Left to burn?. The writing, once again mostly done by Per but with occasional musical assistance from Stefan, went pretty smoothly but the recording sessions proved to be quite tormenting. With tons of technical problems and several changes in studio locations and recording technicians the band decided to finish the recordings on their own in their own studios. As we enter 2007, the new album ?Left to burn? is finally out. To the bands extreme delight, I might add. As always, it's very hard to put labels on music, especially when looking at it from ?the inside?, but the closest would probably be to describe Salva's music as symphonic hard rock with occasional folk tendencies and maybe a splash of jazz once in a while. The focus of Salva's music is always on melody first and foremost but they are certainly no strangers to technical flash or hard riffing if the moment is right. Call it prog rock, call it neo prog, call it hard rock?hell, call it muzak?at the end of the day we just hope you will call it ?good music?.